Innovative in design and exceptional in brilliance! 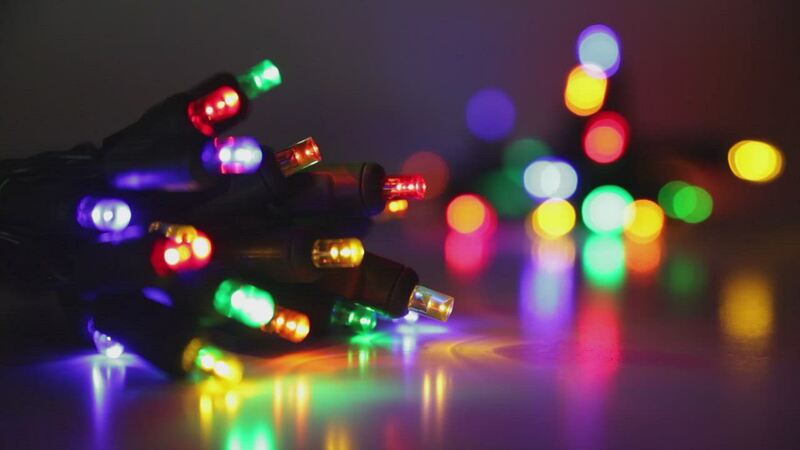 Battery operated LED lights feature vivid illumination, energy efficiency and long life, providing you with the perfect solution to your craft projects and event lighting needs! 5mm lights might be small in size but their conical wide angle bulb design allows brilliant light to be cast in all directions! Wrap cool white LED lights around greenery for the holidays or add festive glow to wedding and event decorations, choose from steady or twinkle effects for even greater design versatility! I love the soft, delicate lighting. My only concern is the battery box. I'm hoping the sliding panel and catch hold up. Just the product I had been searching for. They are just the right size for the new project I had started and now I can finish it. The product arrived on time - and was of better quality than I expected. I ordered extra qtys to be on the safe side, and they accepted my returns no problem, and provided quick credit back on my card. These lights are really bright which I was happy about as I used them outside my front door decorating a potted plant. I will buy these again. I used two of these battery-powered sets on wreaths straddling my front door, for which there are no nearby 110-volt outlets. They worked as advertised, and gave Christmas-season-long performance from fresh AA alkaline batteries. (On two occasions, when I forgot to turn them off when retiring for the night, the LEDs were noticeably dimmer in the morning, but the batteries seemed to recover after being unused all day.) These cool white LEDs (product #19256) are noticeably more blue than I would like, but the alternative warm white set (product #19428), unlike the cool white set, has the descriptor twinkle in its name, so I did not buy it, inferring it was twinkle-only. I now see that the warm white set has the same steady-state option as the cool white set; it would be useful for the names of both styles to indicate the twinkle + steady features. Very good lights for the price. These lights are the perfect fit for my large tropical plants. They look great and are not even seen until turned on. I would recommend these to anyone. These lights look great on my centerpiece, and the softer cooler color of the light is wonderful. Great value and wonderful battery usage. Fine product with very quick delivery. I used these along with 25 electric lights in a wine bottle lamp that I made and use in our camping trailer. This way if I have 120v power, I just plug it in. If I don't, I turn on the switch on the battery comparment. The leds put off as much light as the standard lights. These lights are bright LED. I used them at a party decorating centerpieces. They work perfectly. The only reason I did not give this 5 stars is because the battery boxes are a little on the cheap side. The springs inside are flimsy and on one of my 5 sets of lights the cover to the battery box doesn't fit securely.